Sodium cocoyl isethionate is a gentle surfactant based fatty acid derived from coconut oil. It acts as a foaming and cleansing agent. Commonly used in made from scratch shampoos, shower gels and more! Sulfate-free and biodegradable. Add to formula at 3-40%. COMMENTS: Works well to add cleansing and lather to shampoo bars. Can be used whole as a decorative useful touch. Used to make a lovely whipped soap. Little harder to melt then other ingredients. COMMENTS: I use these as the base in my whipped soap - provides a nice, foamy, gentle cleanse for face, body, and hair. Love them. Reordering. COMMENTS: I started looking onto making hair solid shampoo and this is a must ingredient, after a bit of research, Wholesaler has a decent price for the quantity you get and it goes a long way in making my business grow. COMMENTS: I made my first shampoo bars and found an easy way to melt them. I have a coffee warmer and put my SCI in a glass measuring cup and popped it on that with a paper towel over it, to keep the heat in, of course it takes a while but it’s less messy than a double boiler. COMMENTS: These were so easy to work with. COMMENTS: The one thing negative about this product, but it doesn't matter where one gets it from, the noodles are very hard to melt if you go that route. It's easy to grind up into a powder. It does create a nice thick, rich lather. It washes very nicely from hair. I prefer this to SLSA or SLS as its very mild detergent. This works wonderful for those who have hard water. COMMENTS: Super quality, easy to use. Perfect to make shampoo bars as well!! COMMENTS: We love the SCI and so do our customers. It's a product I feel comfortable using. It performs great. Will definitely order more. COMMENTS: Love this in shampoo bars! COMMENTS: Used this to make bath butter and creamy body wash. It melted and performed well in the final product. It would be great to have in powder form for use in bath bombs. COMMENTS: Great product. 2nd time repurchasing. no weird smell and always high quality. "What a great Shampoo Bar!" COMMENTS: I used this product for the first time with the 3 in 1 Shampoo Bar recipe...what an amazing, fabulous Shampoo Bar! It is not a pretty bar of artistic soap but rather a rustic looking bar but the quality and performance are outstanding. Very silky and mild but very effective cleanser. Love it. "Great for my bath whip"
COMMENTS: I love the SCI in little noodles. No problem melting it down and it provides exact ly what I want in my product. I use it mai ly for my whipped soap but I plan to expand my horizons soon. Great job WSP! COMMENTS: Realized this is main ingredient for foam Body whip, I tried today made it from scratch. It's wonderful and I will order again!! COMMENTS: Made a really mild but great shampoo bar. COMMENTS: This stuff is awesome! I've been looking for a non soap surfactant for use in shampoo (hair soaps are just too alkaline for my hair) and needed something gentle and sulfate free. This product is perfect. The phone registered at about 6, which works wonderfully for hair, as did not irritate my scalp or leave my hair feeling crunchy. Thank you WSP!!!!! "I have the Emulsifying Wax - Soft & Silky. Can I use that instead of the conditioning plus and if so, at the same amount called for? Thank you, Mary"
Staff Answer We do recommend using the Conditioning E-Wax for shampoo bars. You will need to test this recipe if making a substitution. "Can I add this to my toothpaste , and if so at what percentage?" Staff Answer This is something you will need to do further research on. We are not familiar with making toothpaste. Staff Answer The manufacturer does not list the pH as this would be determined after the product has been dissolved in cocamidopropyl betaine. "When dissolved in a base of Bubble Up, what is the minimum required ratio?" Staff Answer We recommend a 1:3 ratio of SCI to the cocamidopropyl betaine. "Can these be sprinkled onto the tops of shampoo bars or soaps as a sort of useful 'decoration'...like the "Lush" bars?" Staff Answer These noodles can be sprinkled on the tops of the shampoo bars. "I plan to make the shampoo bars in the April 2018 Handmade magazine. I have SCI powder/granules instead of the SCI noodles. The moisturizing shampoo bar calls for 4.05 oz noodles. Would you recommend the same 4.05 ounces of the powder. Since the noodles are being melted it makes sense to use equal substitution. I understand my result could be different but any advice is appreciated"
Staff Answer Yes, we would recommend using the same amount of the SCI powder in your recipe. "Can use use this in noodle form for laundry soap?" Staff Answer We have not tested the noodles in laundry soap. Most laundry soaps are made with washing soda and borax. We carry both! "If using SCI noodles along with Bubble Up in an oil only recipe is a preservative required? " Staff Answer It depends on where the finished product will be used. A preservative is not needed to preserve the product if the product is used and kept away from water. 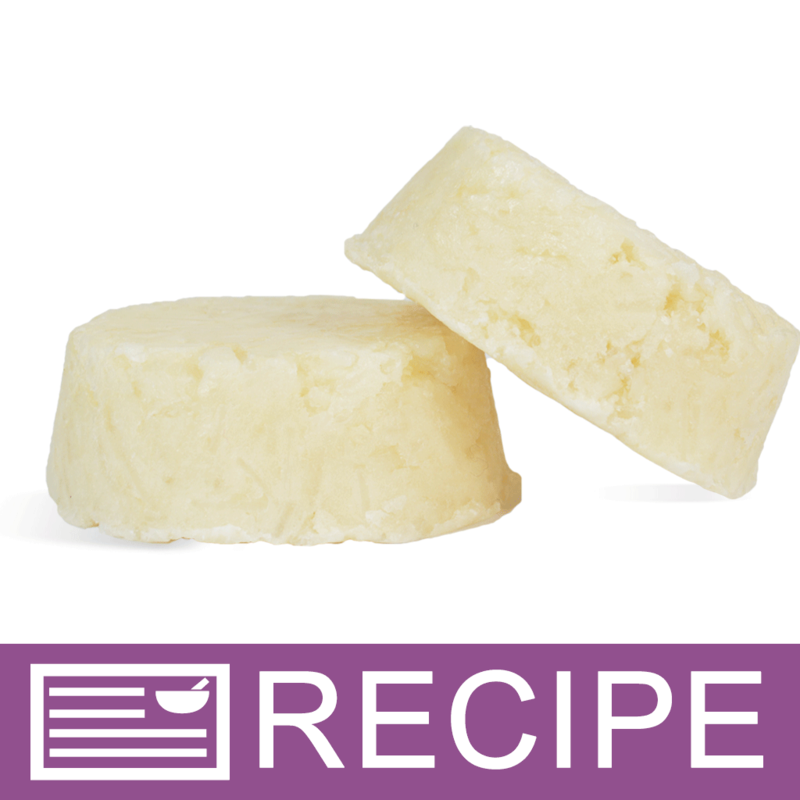 If the product will be exposed to water, such as a shampoo bar, then we recommend using a preservative. "Is this ingredient palm oil free?" Staff Answer This product is derived from coconut oil and is palm oil free. "Is this product considered natural? Thank you in advance for your help "
Staff Answer This product is not considered natural. "What type of colorants can be used to color this product? Thank You"
Staff Answer You can use micas, pigments, neons or ultramarines. "Can you use this to make liquid shampoo? " Staff Answer Yes, it can. At this time we do not have a recipe but you can find many recipes by searching online. "Would this product melt well using the microwave instead of double boiler?" Staff Answer No, it will not. It needs to be melted over low, steady heat in a base such as Cocamidopropyl Betaine, Crafter's Choice Bubble Up. "Can I add this to my shave and shampoo melt and pour base, and if so at what percentage?" Staff Answer This ingredient is meant to be used in products made from scratch. If wanting to add an additional foaming agent, we recommend adding Lathanol Powder. "I have never ordered this product so I don't know the texture. I'm looking to use it bath bombs. How can I convert it to a powder form for bath bombs or will it work in the noodle form? Is it a good replacement for SLSA to create the foaming action?" Staff Answer You can grind it in a coffee grinder to make a powder. If doing this, we highly recommend wearing a mask. Or you can chop up the noodles into very small pieces and blend into your bath bomb mixture. "How is this used? Is it added to the lye/water mixture or to the oil mixture? " Staff Answer This ingredient is used mainly in liquid soaps, shampoos, etc. It needs to be melted first to be used. Most people use cocamidopropyl betaine as a base to melt these noodles. It is not used in CP soap. "Is there a recipe for shampoo bars?" Staff Answer We have not had a chance to formulate any recipes yet but we will post them as soon as we do. "Does it have to be grinded or melted to make shampoo bars?" Staff Answer This product does need to be melted. The most common base for heating is cocamidopropyl betaine. 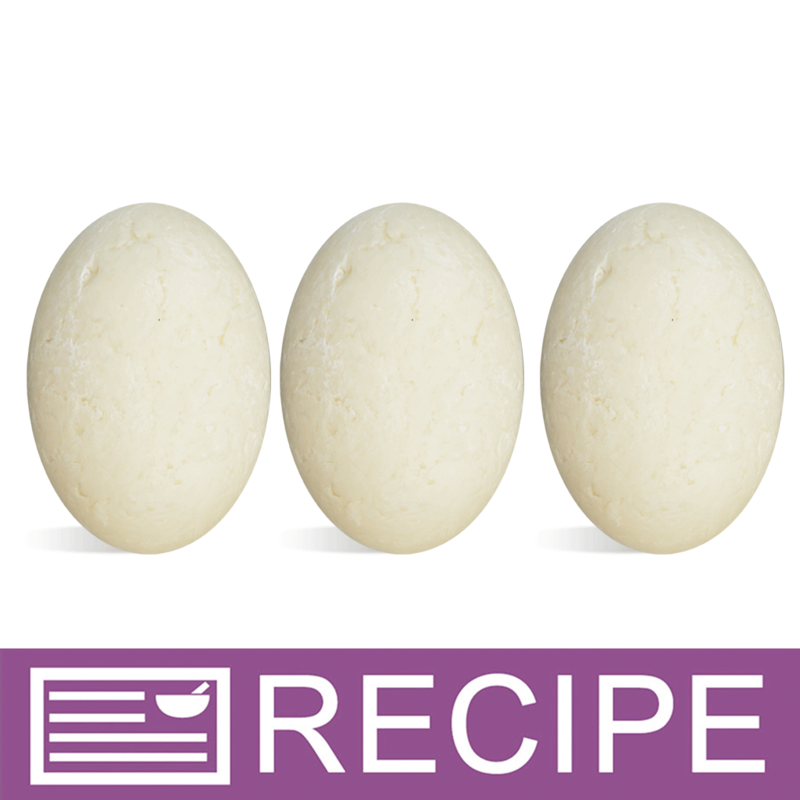 "Would this be a good product to use in bath truffles to replace slsa or sls? " Staff Answer We have not tried this product in that application, but it sounds interesting. "Very happy to see this here! Does this contain stearic acid? If so, at what percent?" Staff Answer We have nothing from the manufacturer to indicate that this product contains stearic acid.